I can’t just give you my Top 15 Albums of 2016 without first shouting out some of my favorite local Charlotte-based projects of the year. Despite its tepid reputation for local and touring music, Charlotte is not lacking for talent. There’s plenty of proud and innovative musicians in the area that are ready to put Charlotte on the musical map and give the real Queen City the props it deserves. Hopefully, the city and profit-minded developers consider that and help restore some of the character to the scene by building a few more local live music venues. Elevator Jay – Slurred in Mecklenburg This album really could have just about made it into my overall top 15. Jay is a pioneer in Charlotte’s rap scene by keeping things thick and sticky like the album title would imply, but also spitting sharp rhymes with a different flow on every track. The production and rhyming on this album are classically southern, but they never fall into tired trap clichés, with the beats and Jay’s flows being different on each track. Elevator is a dangerously talented musician, able to fire off melodic raps, catchy hooks and innovative beats faster than a Cook Out drive through. Read my full review of Slurred in Creative Loafing. Radio Lola – The Burden in Our Bones This four piece tsunami of bluesy rock & roll force has been touring around Charlotte for a few years now, and this album contains some of their finest material yet. Their dark and brooding hard rock sound is driven by the wailing, feedback-fueled guitar of Chris Hendrickson and the sultry, siren-like vocals of Dani Engle. The songwriting is also deep and emotive, but at the same time has you wanting to throw down at a moment’s notice. Radio Lola partially funded this album through Kickstarter, showing that they are backed by the hearts of the Charlotte music scene. Well$ – The Way I’m Living Makes My Mom Nervous I’m really digging this release from Well$, who seems poised for some national recognition. Durham-based Sylvan Esso give a kick start to the album with production on “Young Man”. The rest of the listen is laden with punchy beats and clever word play. The album’s mood is dark and brooding, but it never seems to get to a place where it takes itself too seriously. Keep an eye out for big things coming from Well$ in 2017. Deep 6 Division (Rapper Shane and Mike Astrea) – Self-titled This is the second straight distinctively solid collaboration project that Rapper Shane has worked on in as many years, with 2015’s Dap City with RBTS WIN being the first. While Dap City may have set a high bar, Deep 6 Division might exceed it with searing production from Astrea and increasingly complex and textural rhymes from Shane. The sound of the album is brutal and harsh with aggressive electronic beats powering the album throughout, creating a sound not unlike Run the Jewels. An album that meets at the intersection of hip-hop framework and punk rock spirit, this is the perfect project to get hyped to. 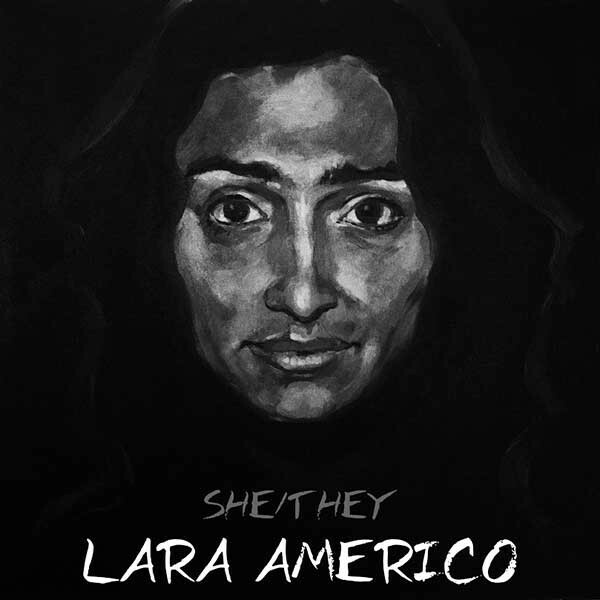 Lara Americo – She / They The debut EP from singer/songwriter/artist/trans activist Lara Americo is an intensely personal one which sees the performer pour every ounce of herself into the mix. Light on instrumentation (most songs feature only Americo’s voice over an acoustic or electric guitar, bass and simple percussion), but heavy on genuine emotion and exploration, She/They is a journey through the often complex and painful process of self discovery that comes from being transgender in a testosterone-fueled straight white male society. Americo also plays all the instruments on record, sings as well as produces (often using her own closet as a recording booth), making this one of the most genuine, real and raw records you’ll hear. This record is an emotional roller coaster that is as provocative as it is pure. 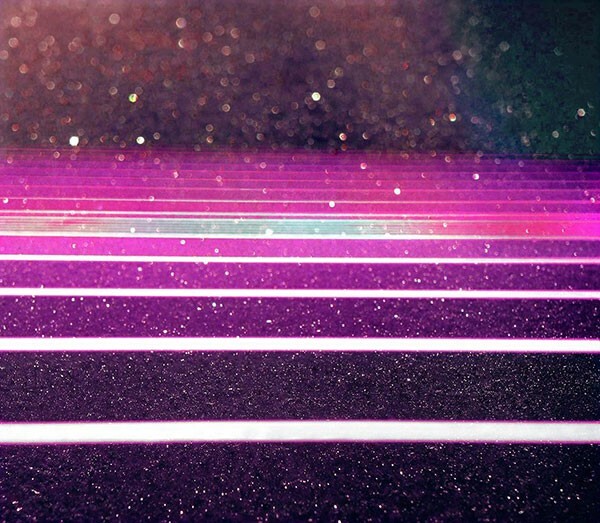 Miami Dice – Venus in Retrograde 80’s synth rock duo Miami Dice followed up 2015’s Premium Cut with this 13-track EP in October. Fans of the greasy haired, golden chained and hairy chested synth and drum track-heavy sounds will not be disappointed as Venus follows much of the same pattern. From the opening track “Something That’s Real” (which samples The Whispers’ 1979 hit “The Beat Goes On”), the atmospheric glam grooves transport you directly to the sweaty and sniffly clubs along South Beach circa 1986. This project was also released on cassette tape, making me wonder if cassettes are already back in style. That would be a big kick in the pants for me, after having spent much of 2016 building my vinyl collection. Bless These Sounds Under the City – On the Brink of Life I was very impressed with this record, released in November. Another Charlotte duo, this one consisting of Albert Strawn and Derrick Hines, the sound of On the Brink of Life is one that is diverse, bringing a wide range of influences and sonic elements to the table. Everything from indie rock to folk to electronica to hip hop is represented here, and it’s clear that BTSUtC possesses a wealth of knowledge of each genre. Songs like “Suspended in Hypnosis” and “A Clever Disguise” rely on drum machines and sharp rap verses, but a song like the title track makes terrific use of lush string arrangements and clever chord progressions. In the third quarter of the album, “Spirochetes” and “Whatever You Become” all but eschew a percussive track, instead focusing on tender piano and acoustic guitar melodies. This is a tremendous album overall, one that will have me anxiously awaiting the next BTSUtC live performance and album. Ancient Cities – Supermoon Blackout Well-established local rockers Ancient Cities released their second LP in July of 2016. The quintet is known for soundtracking many live events and parties around Charlotte, but these guys bring the heat in their own right as well. With Supermoon Blackout, Ancient Cities turns up the energy and dials in some solid harmonies, diversifying their previously straightforward rock sound. Led by the songwriting, singing and wailing electric guitar of Stephen Warwick, Blackout is a fun and jaunty listen, perfect for any feel-good sunny day. Songs like “Actress” and “Phases” contain bright and jubilant melodies that evoke early-seventies era Beatles. Many of the tracks here have been carefully crafted and it makes for a fantastic listen as an album. * Technically, RBTS WIN is from Asheville, but these dudes rep Charlotte so hard, perform here all the time and are close with many Charlotte artists so they get an honorary Charlotte residency from me. If you’ve got a favorite #cltmusic project that I forgot to mention, or a local artist that I’m unaware of, hit me up! In the middle of a summer-long tour taking him throughout the south and midwest, slack-rock superstar Beck stopped by the Uptown Amphitheater Friday night. Under the shine of a luminous full moon, Beck brought many people in the audience back 20 years, while also displaying a more measured tone found in his most recent album. Beck took the stage in a grey two-piece suit, lighter-toned shirt and a stingy brim hat. Leading the show like a orchestra conductor, Beck had great energy throughout the night, and showed off many of his half-choreographed dance moves in a very playful manner. While known for his monotone vocal style, Beck also showed that he’s got the chops to carry a verse as well as any rapper, especially on “Qué Onda Güero”. Touring in support of Morning Phase, Beck had with him many of the musicians that recorded on that album. A trio of guitarists, led by Smokey Hormel, showed great versatility throughout the night. Much of the material from Morning Phase and Sea Change is based on a layered acoustic guitar sound and the axe men did a terrific job of creating a very aural sound. The Dan Electros and distortion pedals came out in full force on several songs, however, including the opener “Devil’s Haircut”, the slide-guitar driven “Loser”, and the main set finale “E-Pro”. The rhythm section (Joey Waronker on drums and Justin Meldal-Johnson on bass) provided excellent pace all night, and shined particularly well on “Black Tambourine” and “New Pollution”. The band was rounded out by Roger Manning Jr., who handled all the various keys, synths and organs. With the many different styles and influences covered in the set, the band never failed to adapt to what was next. Long-time fans of Beck were not disappointed as Beck tore through the classics with a fervent energy. Live favorites and older hits like “One Foot in the Grave”, “Hell Yes”, “Debra”, and “Sissyneck” all pleased the more discerning Beck fans. While much attention was given to the newer songs on Morning Phase and Sea Change(seven songs total), those songs by nature were much more calm and stoic in contrast. Acknowledging the gleaming full moon behind the audience, “Blue Moon” was the first cut from the newest album, while “Heart is a Drum”, “Say Goodbye” and “Waking Light” were the three penultimate songs in the main set. Beck also managed to squeeze two covers in as medleys in his own songs: Donna Summer’s “I Feel Love” was weaved into “I Think I’m in Love”, and the bass line in “Sissyneck” shifted seamlessly into “Billie Jean”. Closing the main set was “E-Pro”, which finished in a flurry of feedback-fueled distortion, and Beck rolling on the ground trying to seemingly strangle his guitar. The keyboard player then wrapped a line of yellow caution tape around the stage, in a bit of an odd send-off. The band came back in full-force for the encore, however, and probably had more bounce and energy than at any other time in the show. “Hell Yes” had the entire crowd jumping and singing along. The faux-love classic “Debra”, was a treat even if Beck’s tongue-in-cheek falsettos weren’t exactly Al Green. “Where it’s At” closed the show to a standing ovation. The show was not without it’s faults however. Several times throughout, feedback from the microphones would jolt through the speakers to fairly noticeable degrees, such that you could see the band and Beck have to adjust on the fly to compensate. It seemed to be a problem throughout the night, with three-to-four really noticeable incidents. While the band as a whole played very well together, any time a musician other than Smokey Hormel stepped out to solo, the results were not pretty (Beck included). This was particularly evident in the encore when Beck credited the band and they all solo’ed over a few bars. Beck himself even muffed a dance move where he threw off his jacket, not quite getting the left breast and sleeve off in the smooth, fluid motion he was looking for. However, in typical Beck fashion, Beck winked to the crowd, said “Let me try that one more time”, and pulled it off again to a rousing cheer. Charlotteans couldn’t have asked for a better atmosphere as the full moon shone brightly over the crowd all night, and the cooler temperatures and lighter humidity made it comfortable whether you were deep in the pit or siting in the lawn. Beck will make several stops at music festivals to finish out his tour, including thePitchfork Festival in Chicago, the Forecastle Festival in Louisville, and two dates atAustin City Limits in October to close. If you missed Beck here in Charlotte, you can catch him in Atlanta on July 22nd at the Fox Theater, and in Raleigh the next night at Red Hat Amphitheater. Andrew Goh (@andygoh) is the Director of Content for QC Independent. He’ll step to you with a fresh pack of gum.